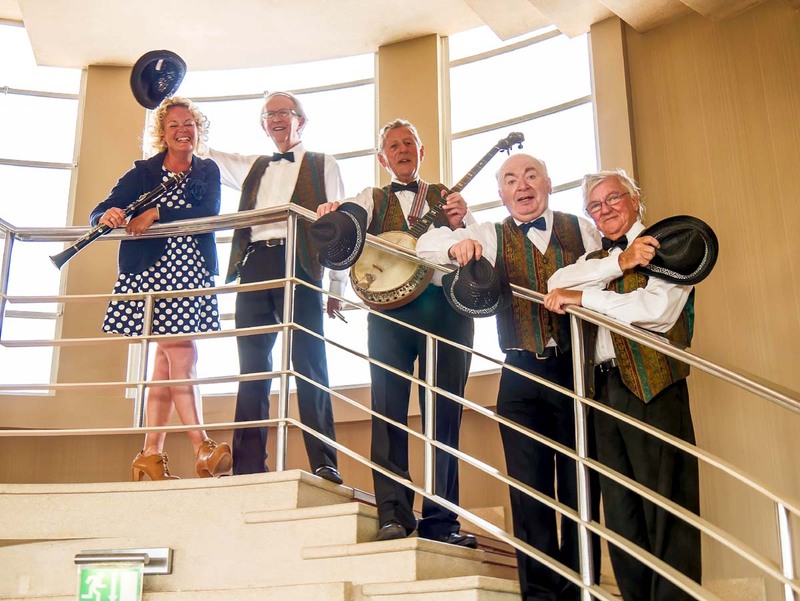 Deco Delight was formed by a group of Musicians from the North West to play as a Quartet, and was later joined by Gerry Clayton on Bass. It wanted to recreate the sound of music from 1920s 30s and 40s era. The band is fortunate in having accomplished musicians who have experienced all styles of music during their lifetime. Began playing and singing at the age of 5. the Clarinet quickly followed at the age of 7 by the saxophone at high school. 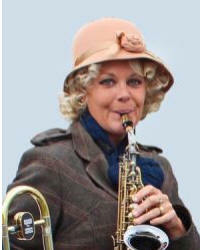 Rosie was a member of the Lancashire schools concert band and toured Europe and made several T. V. appearances with the Blackpool sixth form college big band. Rosie has worked as a teacher for the Blackpool music service and is now teaching piano, vocals, clarinet and sax at Broughton music academy. Rosie has a degree in music from Lancaster University and as well as Deco Delight she has appeared with other jazz musicians, including Alan Barnes, Tom Kincaid, Bruce Adams, and Gilad Atzmon, making appearances at jazz clubs around the UK. Started his music career in Liverpool. The Cavern Club, New Brighton Tower And The Locarno Ballrooms being a few of the many venues he has worked in. Later he became a session musician recording at Strawberry and other studios. 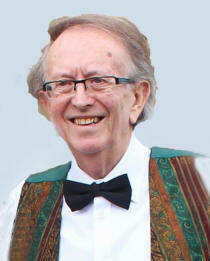 Moving to Blackpool in 1988 he formed his own Quartet entertaining the Holiday makers in the resort. He joined "Deco Delight" in 2014. Has been a professional entertainer for many years. Pete has toured the country with a variety of shows and has been featured in summer seasons in his native Blackpool, as well as appearing in numerous Christmas Pantomimes. 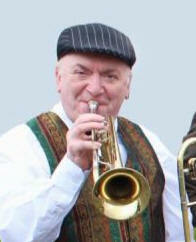 Jazz is his first love, especially the 'traditional' style, and is often to be seen 'guesting' with various bands around the North West, either playing trumpet/cornet, trombone or even sousaphone as required. 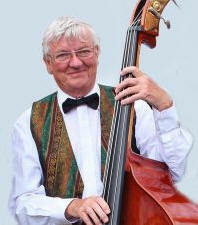 Lawrence originates from Brighton and started playing Jazz in 1962. Later he then started playing with bands in the Northants and Bedfordshire area. He came to Morecambe in 2002. and worked with various bands in the North West since then. Lawrence is an extremely accomplished player, and has played at many venues throughout the U. K.
Peter started playing classical music at the age of 10, and later as a teenager was influenced by the big bands and started to play Jazz. Peter worked for comedian Jim Bowen, and has also performed on Radio and T. V. He has also worked with some great musicians, such as, Cy Laurie, Neville Dickie, Roy Williams, John Barnes, Enrico Tomasso and John Hallam. As well as playing at many venues throughout the U. K. which include Hotels, Festivals and Theatres, he has also played, on Cruise ships. © Deco Delight Band. All rights reserved. No part of this web page may be reproduced in any way without permission.